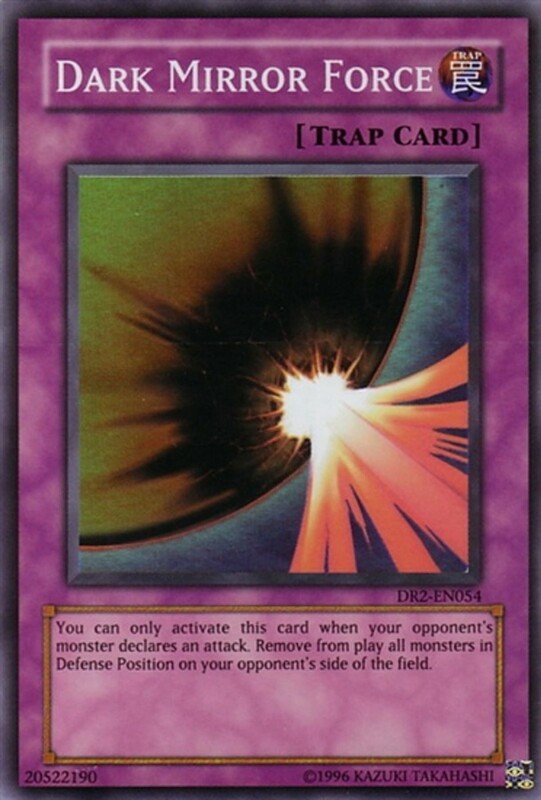 What Are Mirror Force Traps in Yu-Gi-Oh? 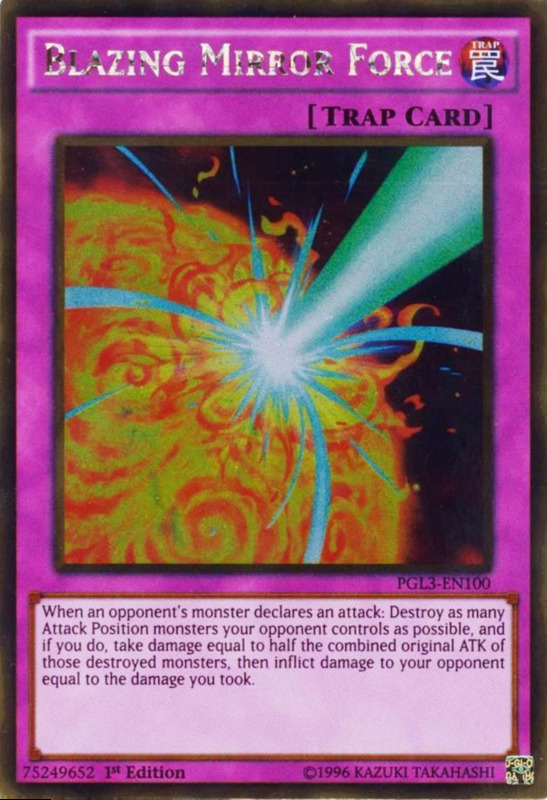 Infamous trap "Mirror Force" has long been a Yu-Gi-Oh staple, at times occupying the ban list for its fierce powers, and has since ignited a series of similar traps. These cards can only be activated when an opponent's monster declares an attack, but offer punishing effects that often eliminate multiple enemy units at once and thwart your opponent's assault. Mirror Force members have aged surprisingly well, as most hamper foes in attack position—the only mode link monsters can exist in. But with nearly a dozen spin-offs, which units reign supreme? These are the ten best Mirror Force cards in Yu-Gi-Oh! 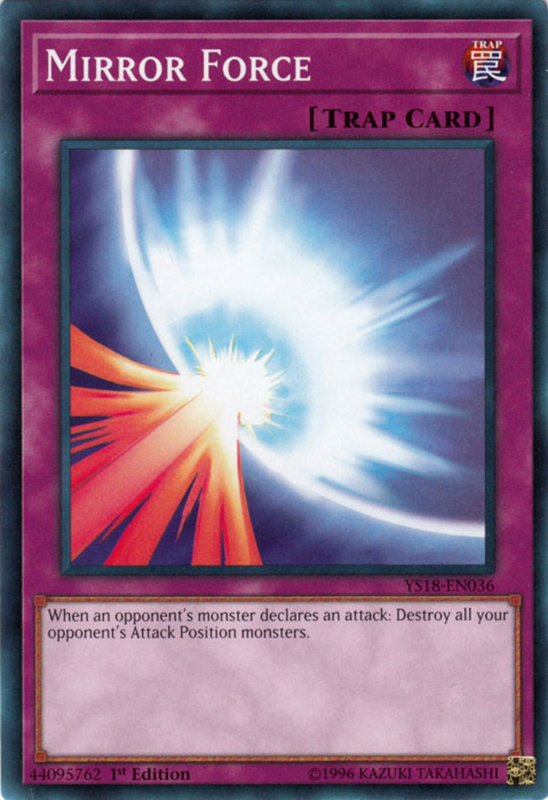 Dark Mirror Force reverses the general Mirror Force trend, as when your opponent's monster declares an attack, it banishes all foes in defense position. While it's helpful that you get to exile the creatures (preventing graveyard recoveries) instead of just destroying them, monsters generally exist in and strike from attack position, meaning you don't usually hit as many targets or stop your opponent's invasion. Still, against themes that can attack from defense mode (like the Superheavy Samurai archetype), or when combined with forced changes to defense position, Dark Mirror Force offers a handy removal. 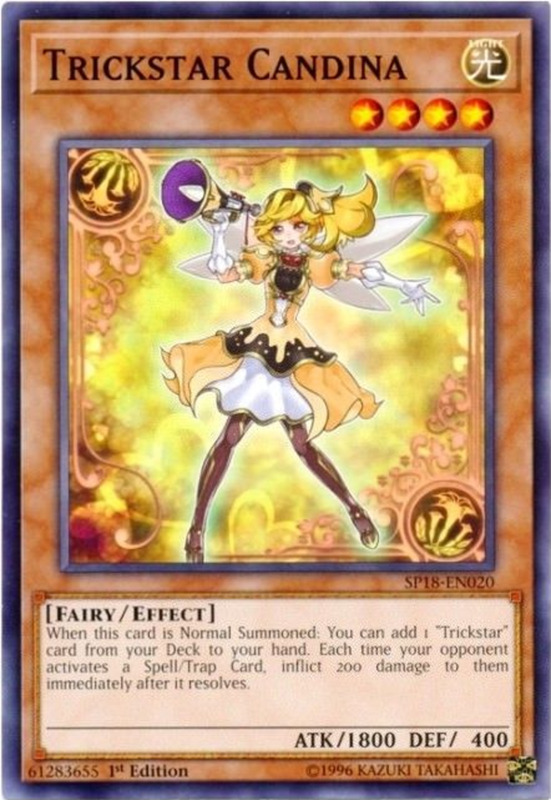 Technically, this is only a "Force" relative, but as there's currently no official Mirror Force archetype, the difference hardly matters. 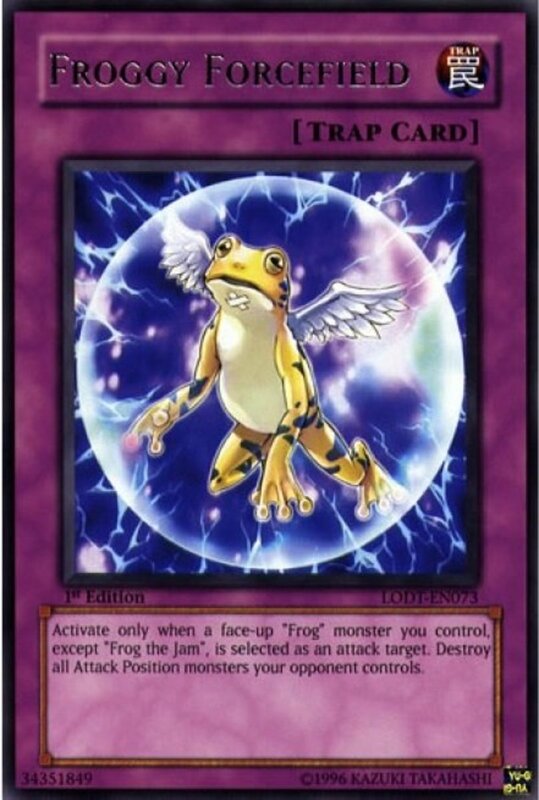 You can only activate Forcefield when your opponent attacks a face-up Frog monster you control (other than "Frog the Jam"); it then copies the original Mirror Force by destroying all opposing attack position monsters. 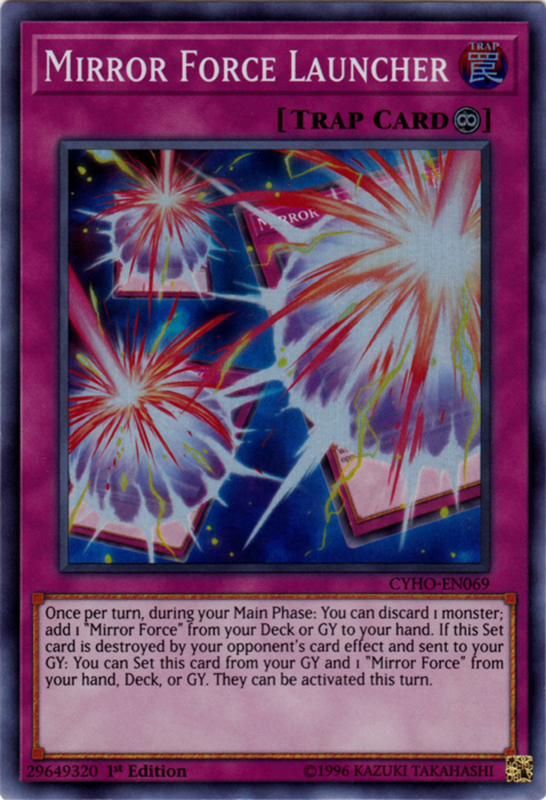 While the default Mirror Force is generally more helpful, if you're playing under an old ban list or simply want more than three copies in your deck, these derivatives can assist specific themes. Similar alternatives include "Infernity Force", "Wall of Thorns", and the anime-only "Wave Force". Radiant Mirror Force is similar to our prior entry, as it replicates the original Mirror Force but can only be activated under certain circumstances. However, you don't have to wield a specific type of monster, making Radiant available to any structure. 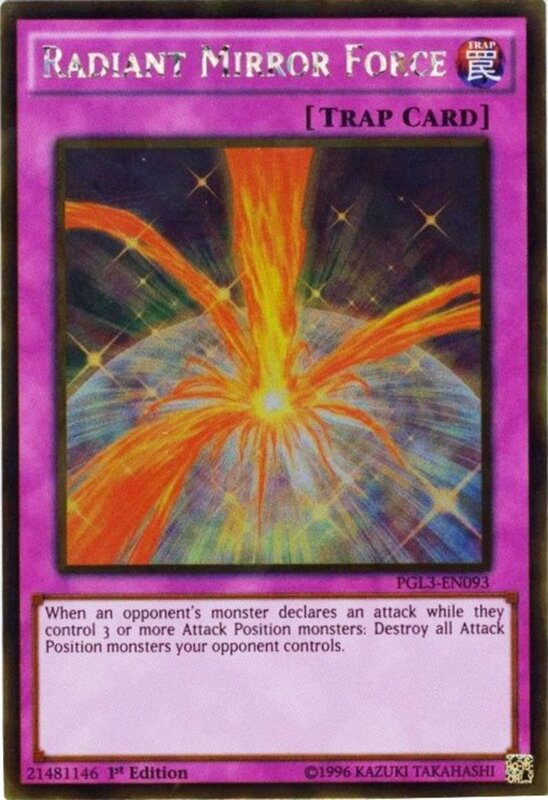 When your opponent attacks while they control at least three attack position monsters, you can activate Radiant to destroy all face-up attack position monsters they control. Remember that Mirror Force cards don't target their victims, making them useful tools against monsters with targeting immunities. Quaking Mirror Force doesn't remove opposing units, but when activated as an enemy strikes, it shifts all foes to face-down defense mode, and those monsters can't change their positions. 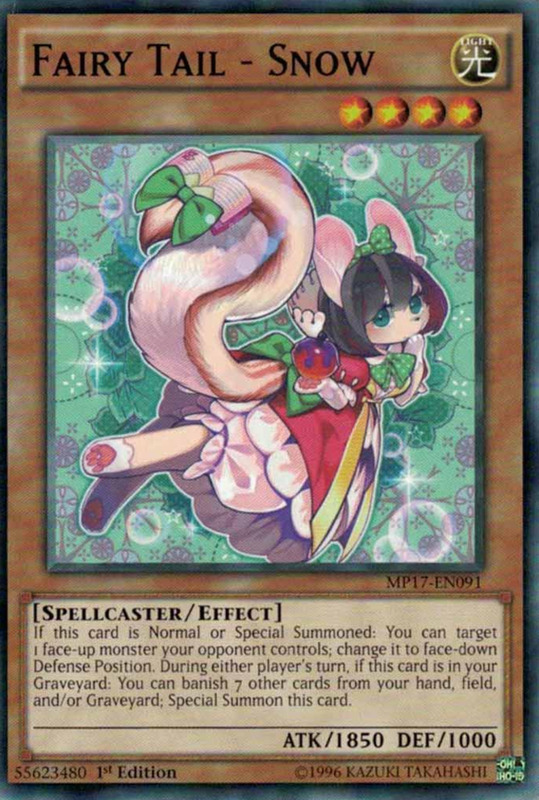 While this can be useful in stall decks, it doesn't work on link monsters and the shifted foes can still be used as tribute or link material, somewhat limiting the potential of this still-decent trap. Hard to beat the classics. Mirror Force was one of the most dangerous original cards, and it still remains a potent threat. When activated as an enemy strikes, it simply destroys all opposing attack position monsters, with no penalties or restrictions on what monsters you need to trigger it. Mirror Force was even better with its original text, which also negated the attack, useful against cards that strike from defense position (and thus avoid its retribution). That bonus is now sadly gone, but it's still a classic counterattack that enjoys ongoing support—more on that soon. Instead of destroying all opposing attack positions monsters when one strikes, Storming returns them to the hand. While this lets your opponent resummon them, it circumvents destruction immunities, which are becoming more and more common. 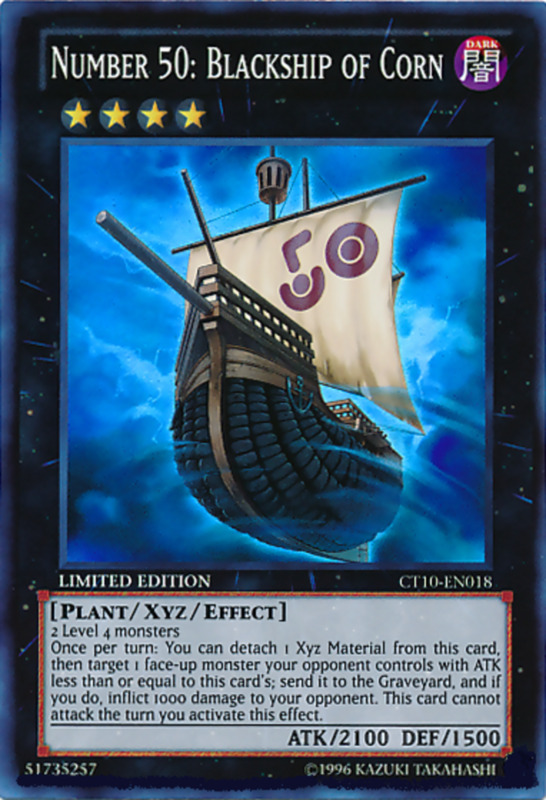 Storming works particularly well against extra deck monsters, as they'll return to the extra deck, denying your opponent the card advantage they receive when the effect bounces main deck monsters. Here's a fusion monster carrying the Mirror Force name who manages to do it justice. 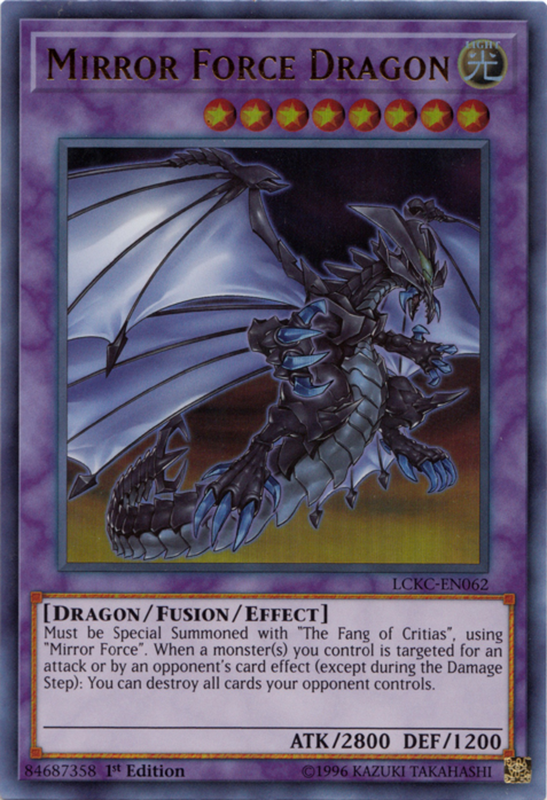 You have to fusion summon this dragon by using Mirror Force for the unique effect of fusion spell "The Fang of Critias", and he enters with an impressive 2800 ATK. 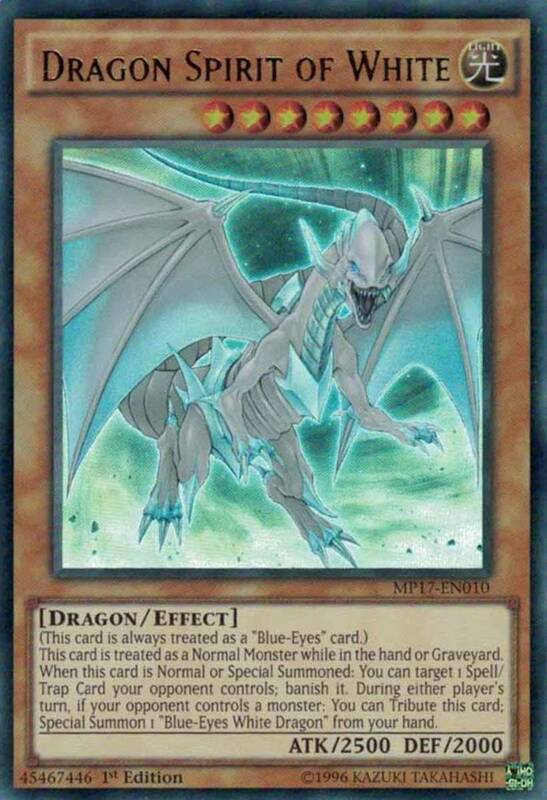 Better yet, whenever a monster you control (including Mirror Force Dragon) is attacked or targeted by your opponent, you can destroy all cards they control, not just monsters. Most adversaries aren't dumb enough to attack or target with Dragon out, but if forced to strike with cards like "Yang Zing Unleashed", they'll have no choice but to trigger your mass removal. As icing on the cake, there's no "once per turn" limit, letting you use the trait multiple times in a single round in the rare cases you can. 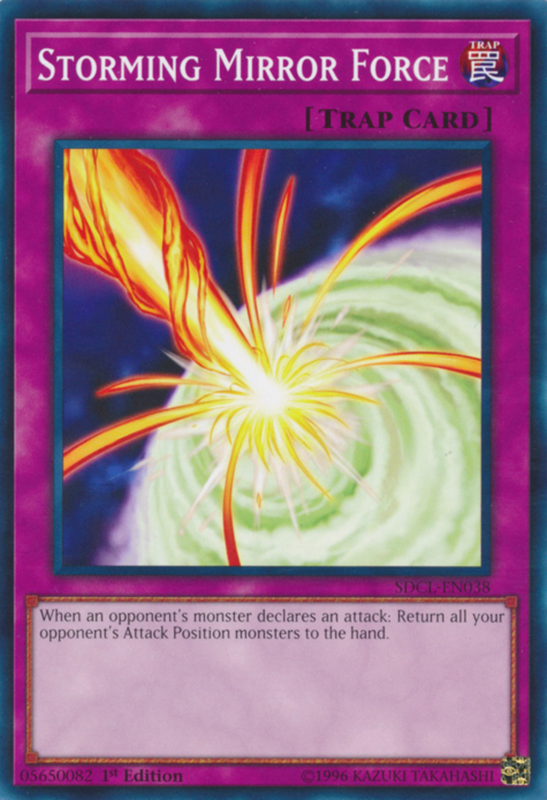 Blazing Mirror Force begins just like its inspiration, destroying all opposing attack position monsters when one swings. Then, it inflicts damage equal to half the total original ATK of all monsters it destroyed to both players. 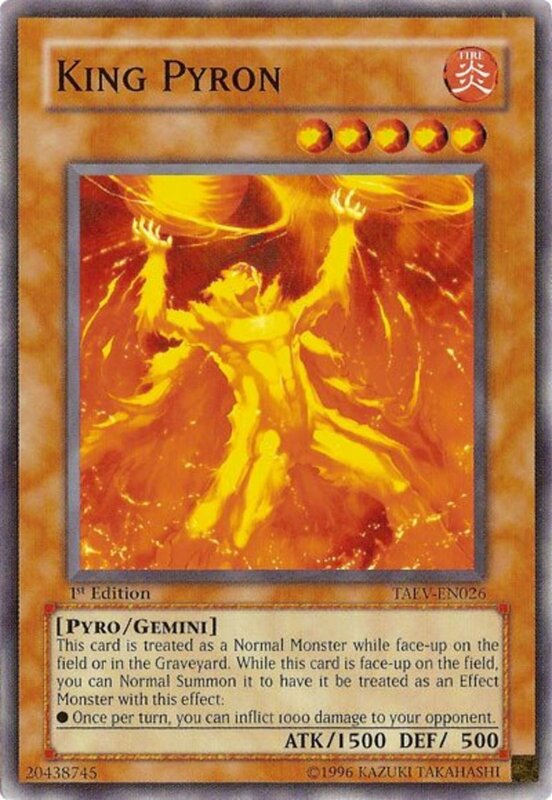 Blazing works especially well in burn decks that aim to win through swift effect damage, as they don't mind the recoil as long as they can quickly eradicate your foe's life points. Just be careful since you take the damage first, meaning you'll lose (not tie) if the blast would defeat both players. 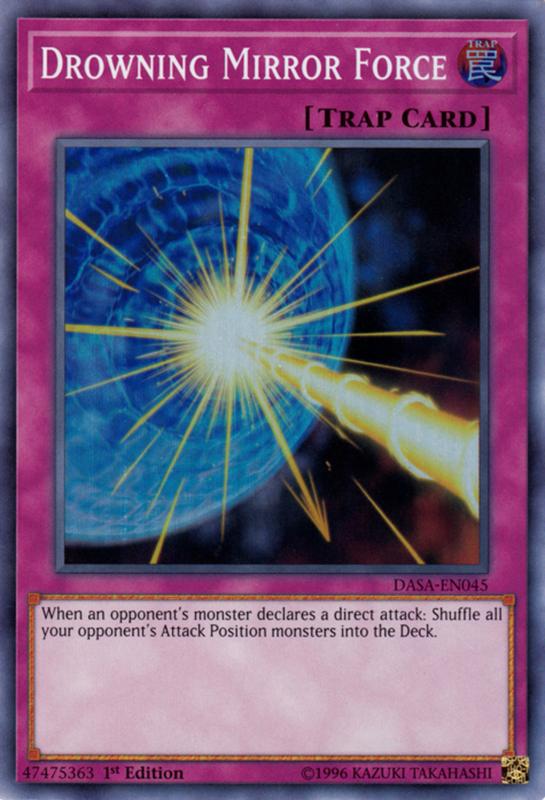 Here's a card that supports the original Mirror Force rather than hampering your adversary's monsters. As a continuous trap, Launcher stays on your field after activation and lets you once per turn discard a monster during your main phase to add Mirror Force from either your deck or graveyard to your hand, a useful way to prepare your graveyard while searching out a trap. Additionally, if Launcher is destroyed and sent to your graveyard by an opponent's card effect while set, you can set it from the graveyard, set a Mirror Force from your hand, deck, or graveyard, and you can activate them that turn. This makes Launcher one of the best bait cards in the game; trick your opponent into wasting a removal on it, not only spending a card but also giving you a free search. Just remember Launcher only works with the original Mirror Force, not any alternatives. 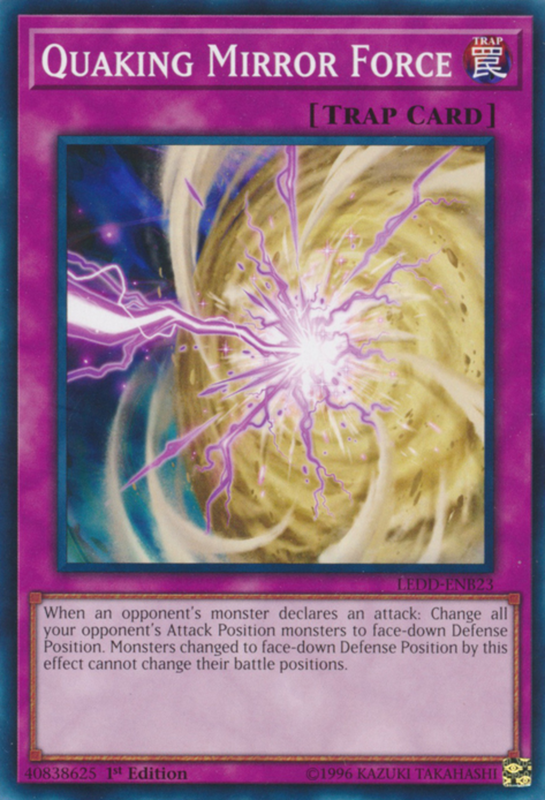 Drowning's downside is that you can only activate it on direct attacks, so you can't play it when your opponent aims for one of your monsters. 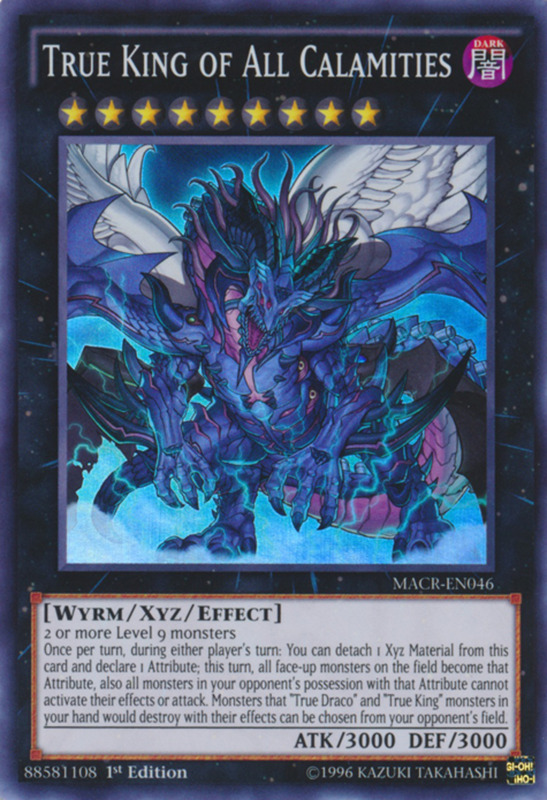 However, it shuffles all opposing attack position monsters into your rival's deck, providing the destruction-bypass of Storming Mirror Force without replenishing your opponent's hand. You might want to hold off on setting Drowning until you're confident you'll be directly attacked in your next battle phase, but few cards can turn the tables like this one. 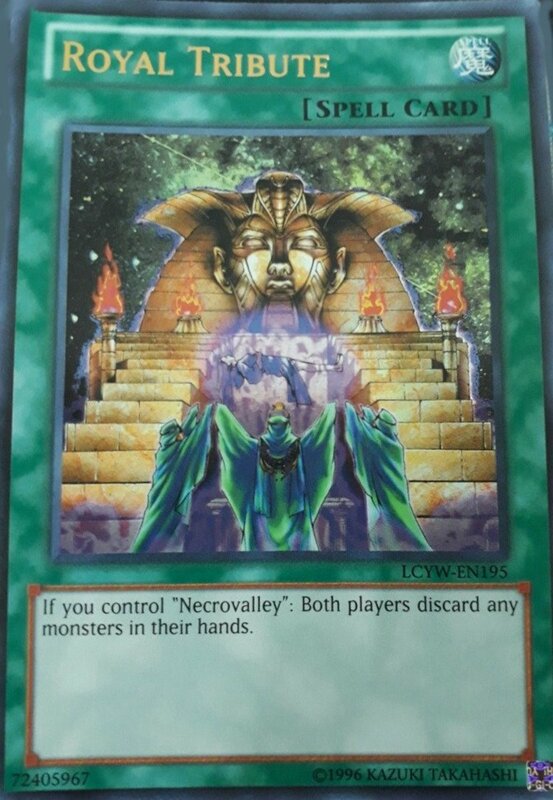 Powerful and effective against just about any monster, I use Drowning in several decks for a potent offense/defense blend. Fortunately, it's surprisingly cheap, costing less than a single dollar! Mirror Force has even inspired several traps that don't carry its name, including "Mirror Wall, "Black Sonic", and "Blast Held by a Tribute", and it's arguably Yu-Gi-Oh's most infamous trap. Remember, Mirror Force cards are vulnerable to removals since they have specification activation windows, but they offer powerful effects that synergize with any archetype and can really make a comeback. Watch out for trap-negating effects like "Jinzo" and "Royal Decree" and these counterattacks will have you well on your way to victory. But for now, as we eagerly await Konami's next expansion of Mirror Force members, vote for your favorite card and I'll see you at our next Yu-Gi-Oh countdown!